Our mission is to make you happy and eliminate the obstacles that come along with trying to play a damaged instrument. That’s why all of our work has a 100% satisfaction guarantee. 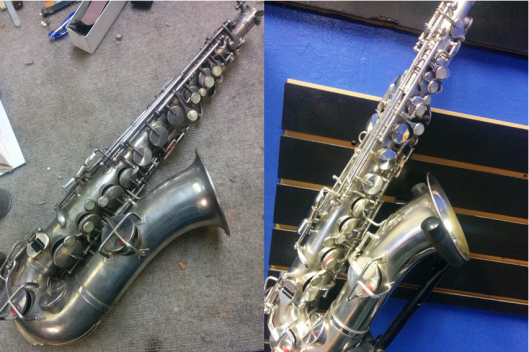 We can do any size repair from replacing a few pads to refurbishing an instrument you picked up at a garage sale that needs a total overhaul. No job is too small or too big.